When it comes to buying a new mouse for your PC, the simplest option is to buy a wired mouse. However, they have some significant disadvantages. Chief among them is, of course, the tangle caused by the connecting wire. If you like keeping your workstation neat and tidy, a wireless mouse is the best option. Wireless technology is getting cheaper by the day. In fact, wireless mouse prices have dropped drastically in recent years. There is also a wide range of choices when it comes to brands. Here are some of the best budget wireless mouse models available online in 2018, ranked and reviewed. A single AA battery powers this wireless mouse from Microsoft. You can expect the battery to last for more than ten months. There are three color options: graphite, white, and ruby pink. The overall design of the mouse is quite stylish. Accuracy is guaranteed on a wide range of surfaces, thanks to the BlueTrack technology used in this mouse. You can easily wield this mouse with either hand. The 2.4Ghz mouse has a range of 15 feet. It comes with a compact nano transceiver for your laptop/PC. The Jelly Comb slim mouse is also powered by a single AA battery. It has an auto-off feature that saves battery life by turning off the mouse after 8 minutes of idle time. One impressive feature of the Jelly Comb mouse is the sheer number of colors and patterns you can choose. Some designs include cute graphics of animals in bright colors. The 2.5Ghz mouse has a max range of 15 meters. The plug and play wireless receiver is ultra compact, making it perfect for use on the road. 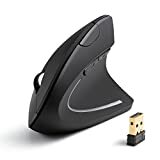 This mouse has an ambidextrous design and can be used with either hand. This is a compact four button mouse powered by a single AA battery. It has a low power consumption with an auto-off feature (after 10 minutes of idle time). The mouse is available in two colors: black and white. 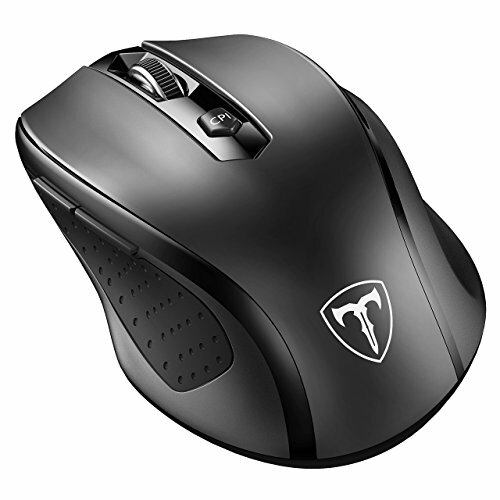 The 2.4Ghz wireless technology enables this mouse to have a max range of 10m/49 feet. The device is compatible with both PCs and Macs. 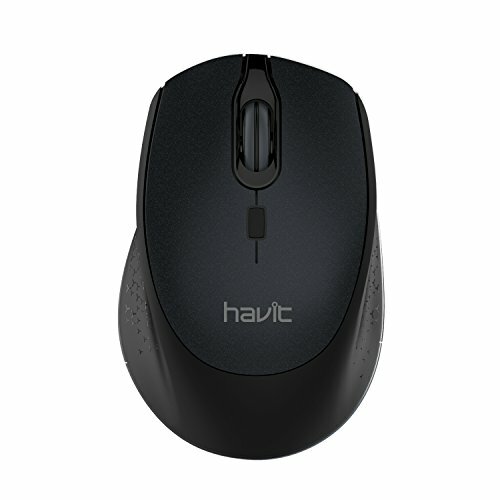 Three adjustable DPI levels are available on the Havit mouse. This is a feature not often seen at this level. This mouse is the best budget wireless mouse for your right hand. This is an authentic HP product, powered by a single AA battery provided along with the mouse. The device will work for 12 months with the battery supplied. Besides the default black variant, there are six other colors available from HP. These are mainly different shades of blue, purple, and red. This is a three-button mouse with a scroll wheel in the middle. It is compatible with Windows PCs, as well as Mac and Linux devices. 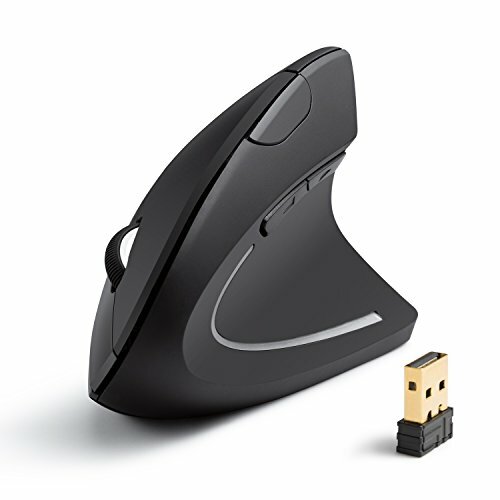 The 2.4Ghz wireless mouse uses a compact nano receiver to connect to your system. It has textured rubber grips on the sides for improved comfort. The TeckNet Pro mouse is an advanced device, with six total buttons. This mouse can stay functional for up to 18 months on a single AA battery. Color options for this mouse include black, purple, red, blue, and grey. The main feature of this mouse is the number of adjustable DPI settings it offers. You can choose between five different sensitivity levels. The wireless mouse has a max range of 15m or 33 feet. The USB nano receiver provided is very compact and perfect for travel use. The TeckNet mouse is compatible with Windows and Linux computers. The M510 is just one among a handful of best budget wireless mouse models from Logitech. This one has an AA battery that will stay in charge for up to two years. Logitech offers this mouse in three colors: black, blue, and red. 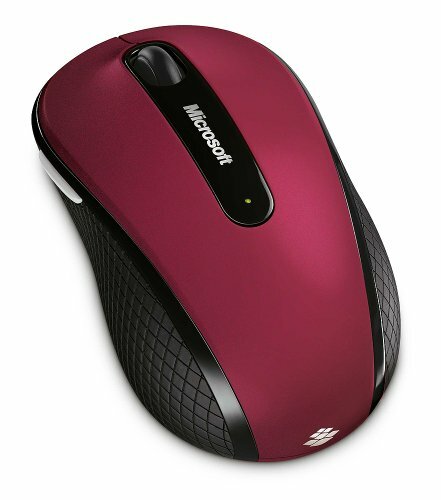 The mouse has a softly contoured shape for comfort, with rubber texturing on the sides. Along with the default buttons, this one also has a pair of extra buttons on the side. The compact Logitech universal receiver has a plug-and-play system. A single receiver can connect with up to six different wireless Logitech devices. This mouse has a maximum range of 10 meters. 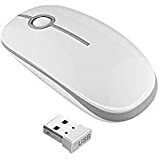 This Anker mouse is the best budget wireless mouse for comfortable use by folks who experience wrist strain when using a traditional mouse. This mouse has a vertical “handshake” grip design. The mouse uses a pair of AAA batteries to function. It will enter a power saving mode if left idle for 8 minutes to save battery. You can expect a battery life of 12-18 months. The AK-UBA mouse has three DPI settings: 800, 1200, and 1600. The device is compatible with PCs, Mac, and Linux machines. It has five buttons instead of the classic three, and it offers more ways to control your computer. This is a standard three-button mouse from Amazon Basics with wireless technology. It is powered by a pair of AAA batteries. The mouse is available in matte black, and bright blue, silver, purple, and red color options. It is compatible with most major OSs, including Windows, Mac, and Linux. The USB receiver has a plug-and-play feature. The receiver is incredibly compact, with a nano-size design. You can store it inside the mouse when not in use. The 2.4Ghz mouse has a maximum range of around 25 feet, which is quite impressive for our third best budget wireless mouse. 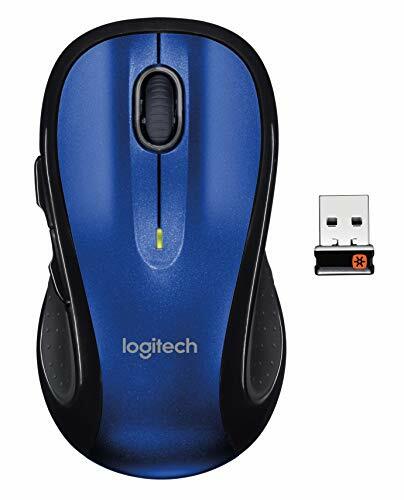 This is a simple and reliable wireless mouse from Logitech available at a budget price. It comes with a single AA battery preinstalled. 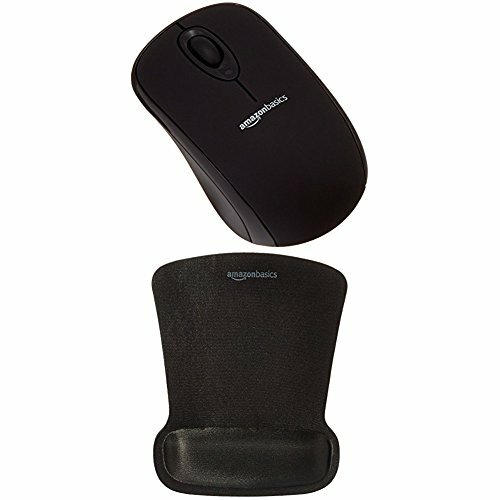 The mouse is available in black, with grey trim on the sides. The M185 does not have any alternative color choices. This mouse is compatible with Windows, Mac OSX, and Linux. It has a simple plug-and-play mechanism. You can get a one-year battery life with this power saving mouse. It has a soft, contoured shape for maximum comfort. You can use it with either hand. Logitech provides a 3-year warranty for this product. According to our research, this is the most popular wireless mouse on the marketplace, and the best budget wireless mouse on our list. It is powered by a single AA battery, not provided along with the package. 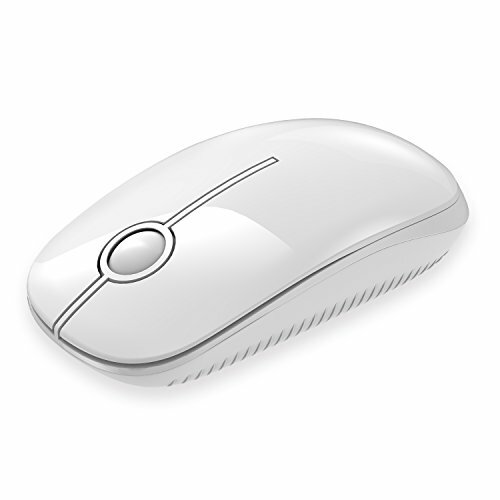 The VicTsing mouse is available in a wide range of colors, including black, white, grey, and silver. 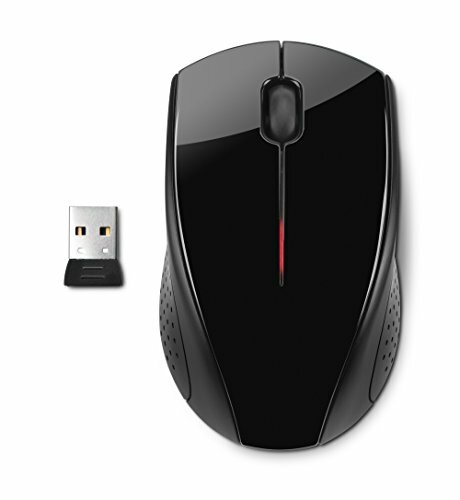 The working range of this 2.4Ghz wireless mouse is around 33 feet maximum. It has a contoured, sweat-resistant design for maximum comfort. The mouse is compatible with all major software platforms, including Mac OSX. The nano receiver provided along with the mouse has plug-and-play functionality. VicTsing offers a 12-month worry-free warranty with this mouse. 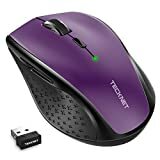 There is a lot of choice in the sub-$10 segment of wireless mouse brands. All the devices have a 2.4Ghz wireless technology, and come with plug-and-play functionality. Some are powered by AA batteries, while others use smaller AAA ones. You can expect a minimum battery life of 10 months in this segment. If the best budget wireless mouse you’ve ever tested is not on our list, tell us about it in the comments section.